Get out your house robes, wands and a few simple ingredients and you’ll have everything you need for some fun DIY Harry Potter craft creations! These are super easy crafts you can make right at home! 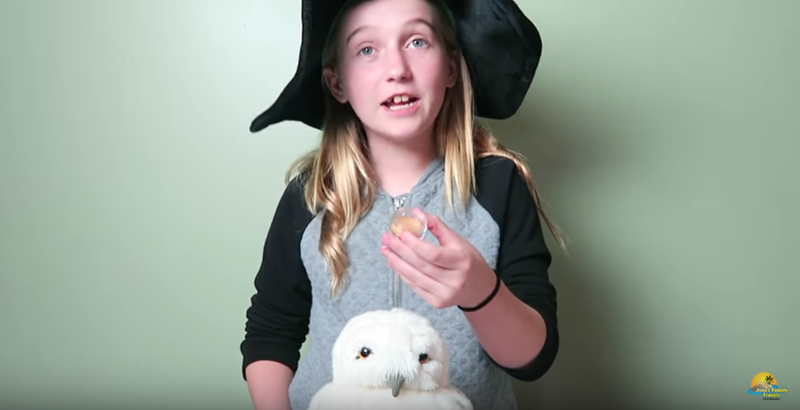 Hunter from Jones Family Travels walks us through creating DIY Harry Potter house sugar scrubs and DIY Harry Potter Butterbeer lip balm — yum! These are two crafts that are very simple and inexpensive to make. They are simple enough that older kids can even handle them by themselves. The ingredients are safe for kids and there’s nothing that will make too much of a mess. Little Muggles will be proud of there scrumptious creations and can show off their Harry Potter love to their fellow wannabe wizard friends. If you want to see more videos from Hunter and the rest of the Jones Family, visit the Jones Family Travels youTube Channel! Will you give these crafts a try?